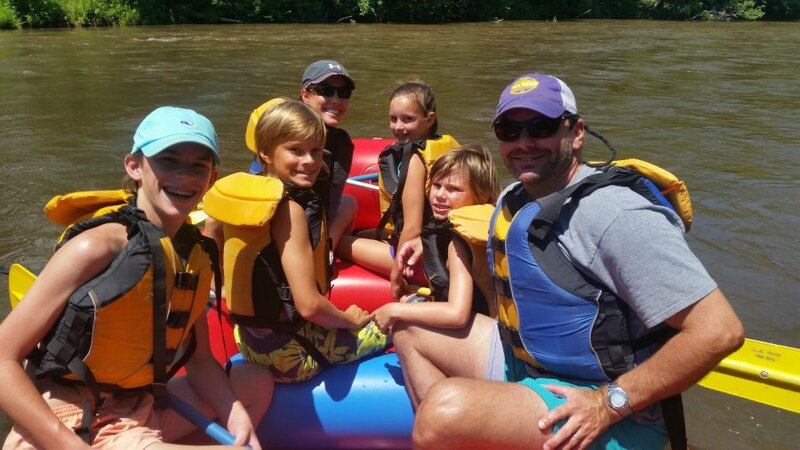 Understanding the Tuckaseegee River water levels is key to a great day on the river! 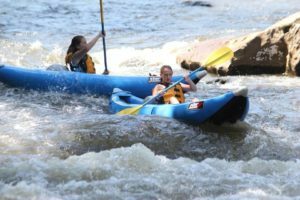 The Tuckaseegee River originates in the higher peaks of Western North Carolina from several tributary streams and unseen branches which merge into two forks that are dammed by Cedar Cliff Lake and Bear Creek Lake. These two forks – the East and West – come together a couple miles downstream. Water Levels of the Tuckaseegee River are controlled by dams located on these forks. Duke Energy controls the water flow from the dams on a planned schedule. You can access the Tuckaseegee River Water Release Schedule here. On red days, West Fork Release, the water levels are lower, more slow paced and great for swimming. We recommend single and double duckies for these days. Rafts tend to get stuck on rocks. On purple days, East Fork Release, the water levels offer fast water and are great for larger rafts and guided trips. We recommend double and single duckies only for those with paddling experience. On green days, Combined East and West Fork Release, these are the highest water levels, so we recommend guided trips or experienced paddlers for raft rentals only. On blue and orange days, there is no release (no water) so our rafting company will be closed on these days. Good day to take a hike in nearby Great Smoky Mountains National Park! If you are like me, I am a visual person. You can see the difference in high and low water levels from these two photos taken at the same rapid. Still unsure of how all this works? Just give us a call 1-888-785-2662. 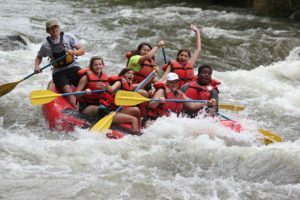 We will be happy to help you in making the best decision for your rafting adventure!